Polish economy is one of the most resilient economics in the world. I am an American who lives in Poland. Poland does not have the downturn that western Europe and America has. In fact Poland was the only country in Europe and America that did not have a crisis and continued to grow. I read many economic experts in the west for years call for the fall of the Polish economy, it did not happen and I knew it would not as I live here and see the way Poles do business. Now predictions have changed and there is a greater confidence in Poland. The reason is simple. Polish people did not get crazy with credit. They are very down to earth people. When they want to buy something they usually pay cash or on a large purchase put a lot of money down. Businesses do not run with a lot of credit. Even in a country which has a capital shortage Polish businessmen are very practical and conservative with loans and credit. Poland is the largest small nation or the smallest large nation. Either way, it has a balanced economy. Poland has fuel, super agriculture, manufacturing, high tech research and development. Further it has something that other economies does not have. That is Poland has a large internal economy. Even if it were cut off from the world Polish people buy things from Poland and count survive. The Poles are perhaps the most educated people in Europe because of the tradition of free education to the PhD level. Everyone I know has at least a masters degree. Generally Poles are hard working humble people. Poland is now a recipient of globalization. Meaning it is a low cost high tech country in the EU. There is no need to outsource to India when Poles speak English and you can do it in the EU. Some people say Polish corruption is a problem. However according to transparency.org Poland is one of the cleaner countries in the world with corruption and the most improve. If you want to set up a company in Poland it is very easy, and if you live in a city you can do it in one day. The Polish government plans to put this all online soon. You also have a 19% flat tax. This in my opinion is clear and easy. Poland gets a lot of money from the EU and will continue to get money until 2020 about. Therefore, if you want to apply for funds it is not hard as long as your project is valuable and unique. There are few downsides to the Polish economy. If you ask an American how they are doing, even if they are losing their house and car and are in debt they will tell you fine. If you ask a Polish person, even if they have two houses and no debt they will complain. There is a difference in the way Poles and others see the world. However, this is actually a good thing. When you are not satisfied with the current situation you will always looking for way to improve then you will be better prepared for what life throws at you. This is not a perfect academic explanation why Poland is not in a crisis, but it does not mean it is not accurate. I don’t get why you are so optimistic about the Polish economy. We have a high level public debt, taxes are growing, welfare is growing, bureaucracy is growing, amount of encumbering EU laws is growing, state control over market is growing – Well.. for sure we got growth. I don’t think we are doing well, it’s more like Europe is simply on its way down. After the fall of communism instead of building liberal free-market economy Poland started to build so-called “euro-socialism” which will lead us into crisis, sooner or later. The Polish economy has some weaknesses but not going down yet. Everything you write about the Polish economy I agree with. Further, add the Polish real estate markets and banks that finance it have not made a market adjustment, as prices remain inflated and reflect ridgid pricing. However, you are emphasizing the negative. The real positive is that Poland has been growing and creating jobs. I lived in Poland for ten years and now I live in Florida, which is hit hard by the economic crisis in the USA. I think I could find a job in Krakow easier than North Eastern Florida. Poland is a developing country and jobs from global outsourcing are flowing in not out like in the USA. 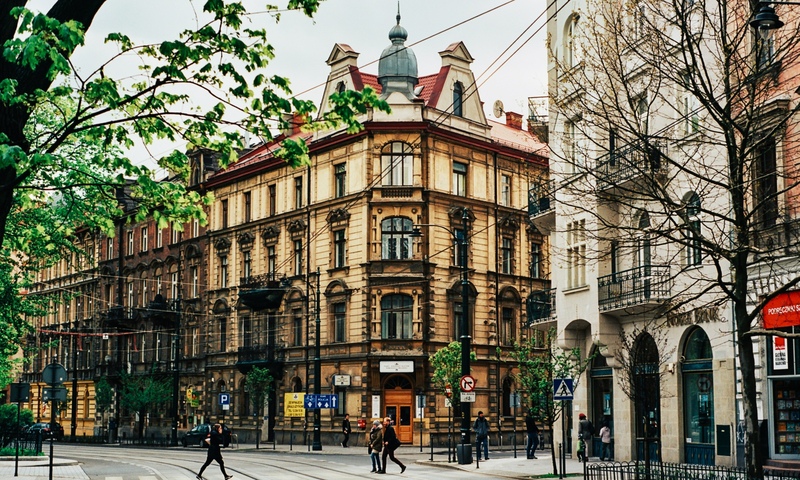 Call centers and even manufacturing is moving to a low-cost Poland. Poles have been conservative relative to the Euro currency counties fiscally. I think Poland is relatively stable. It’s debt in relation to GDP or national income is capped at a relatively low 65%. It is not in excess of 100% like in the USA or Japan at over 200%. Poland basically has a 19% flat tax which many countries would like. The problem is it has a high VAT which is a consumption tax but also a tax on the poor to some extent. Poland might slip into a recession if all of Europe goes deeper because all boats go up and down with the tide. However, it is the center between East and West and what use to be a liability is now an asset as it can position itself as the center of trade. Also what about all that almost endless supply of shale gas they found in south-western Poland? That alone could make Poland rich. The EU Poland is and will be a net receiver of funds for a while. I can not imagine the Polish economy, with a hard-working population which is educated and not spoiled by personal credit card debt falling apart, but know one has a crystal ball. However, one last positive point is Poland has a large internal economy. Which mean much of the Polish economy is in Poland and even if cut off from the world it can grow its own food and make its own manufactured goods, in contrast to other economies which are dependent on its neighbors more.